When you have a house next to the ocean, this fish house will attract you. Designed for getting closer with natural surroundings, this house looks gorgeous. It is not only from the architecture but also function. Let’s enjoy the house to refresh our mind and soul along this holiday. 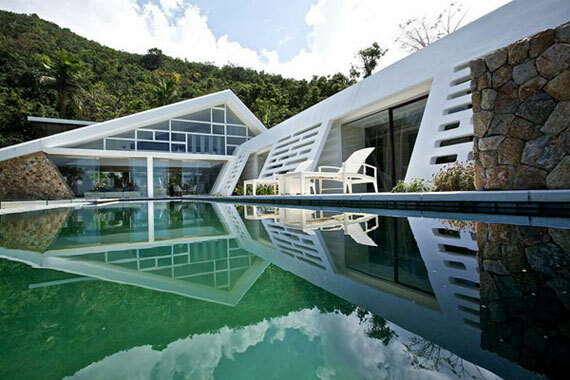 This house designed for the one who live in tropical country just like Singapore and so far. Traditional courtyard house with central green will dramatically attract people eyes. Furthermore, double high stairs become the vocal point of this green house design. The concept of this Meera House design is green. 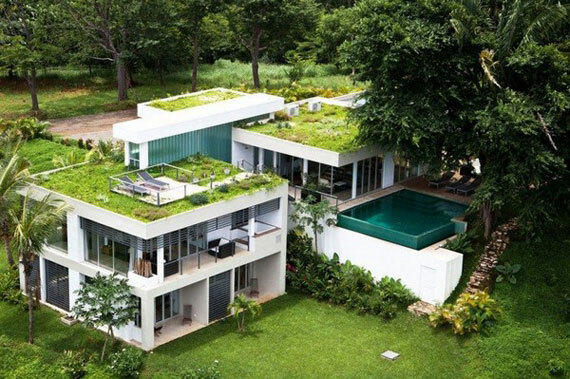 Just see the roof garden that looks extraordinary. Even, the house is built with the idea of layering green space. This house need more sun light to keep its natural beauty and of course sustainable watering system. Wooden house which are waterproof and eye-grabbing. Furthermore, this room provides green space that natural. With simple design, you will have comfortable life with high quality air. In addition, with simple glazed living space let you enjoy the view outdoor. A house designed with high quality technology. Don’t think this is a laboratory. However, this is a house with EIB systems, photo-voltaic cells, security systems. Furthermore, with modern design, the green space looks extraordinary. The idea of creating this sun house deals with pool feature. Ponds are made to add vocal interest to show its natural part along with the green space. Adding some sculpture and artwork will dramatically improve the decoration without annoying. It is a modern eco-jungle building that looks amazing. This house provided with family room, library and downstairs bedroom suites for getting rest beautifully. After that, get incredible experience by seeing vast ocean, jungle and mountain views. Comes to another green space home architecture which so delightful. With roof top garden, the house looks green seen for far distance. Then, you will see bright room at this house with incredible lighting. Moreover, With glass wall the house will make us seems like living outdoor.